I hope that everyone had a great weekend. My weekend was great! My other half and I went to Bath on Saturday and it was fun as always. It was cold, but it was still a good day out. One thing that I love about Bath is the beautiful architecture. 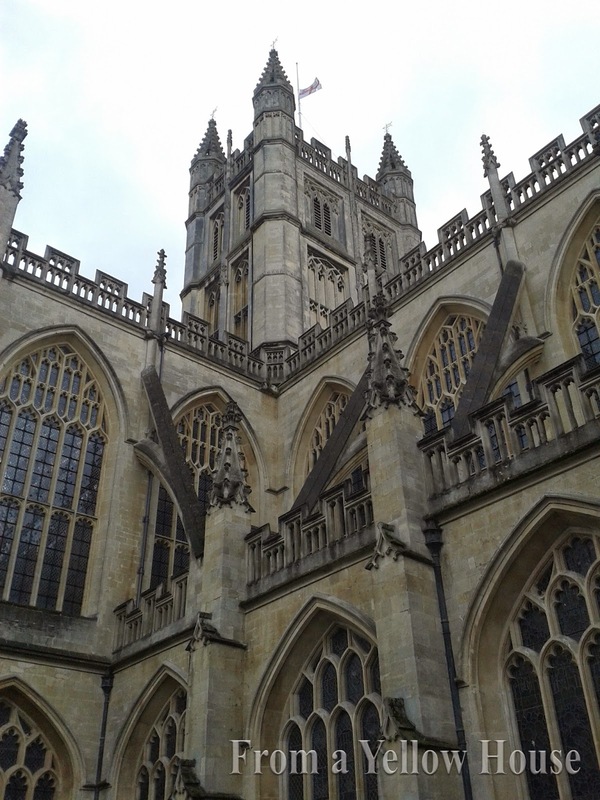 Here's a photo that I took of Bath Abbey as we walked around. This is a small section, but I love this angle.